Every CRM vendor claims their solution helps your business. Only HydraNet backs our claims with empirical data gathered from actual clients. 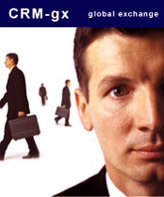 CRM-gx has proven itself in many industries across 24 countries. These are the key performance benchmarks we use to measure the success of your CRM implementation. If CRM-gx isn't generating strong improvements across these areas, HydraNet will proactively consult with your team to determine what invisiblebarriers are holding you back. Based on the companies that have installed CRM-gx, we have statistics that indicate the kind of performance gains you can expect from the solution. While there is variance from business-to-business, the following financial models are based on the average performance of companies currently using the solution. See Your Performance Improvement Now! (Measured in terms of the average number of customer service claims resolved per day per customer service employee, usually between 5 and 50 claims). (Also known as your "churn" rate, the percent of customers leaving for a competitor per year. Usually a number between 5 and 50%).